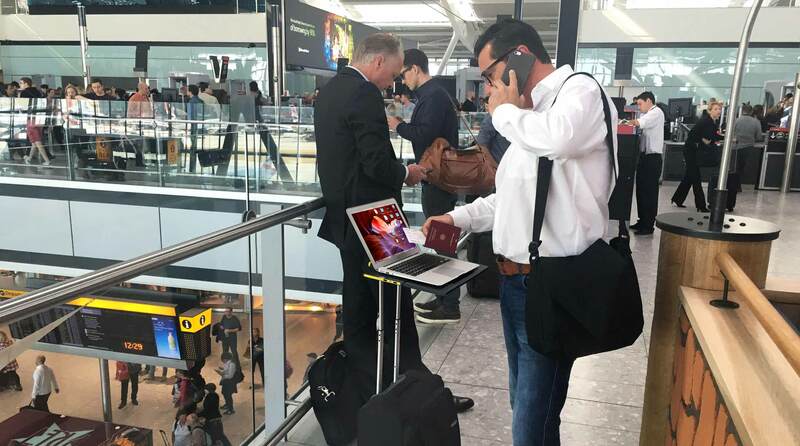 We all experience the frustration of finding a work surface to use a laptop or tablet in a crowded airport or public places. Enblue Technology, a leader in premium power solutions for mobile devices, challenge Bluemap Design to find an innovative travel desk solution. 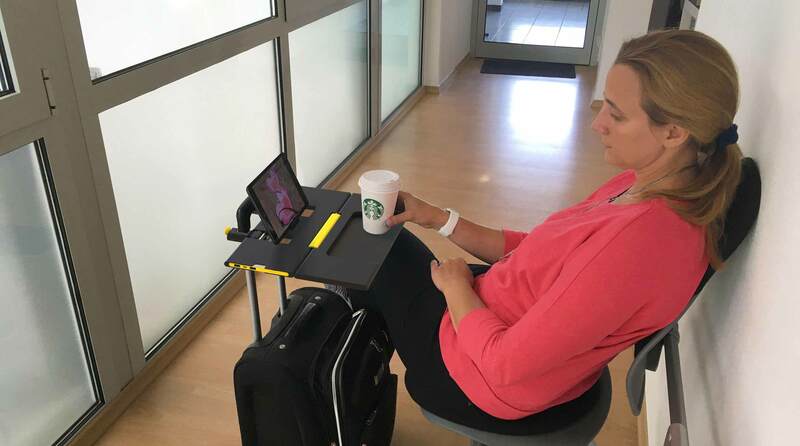 Bluemap Design’s research team and industrial designers travel to many airports to study how people work while traveling. 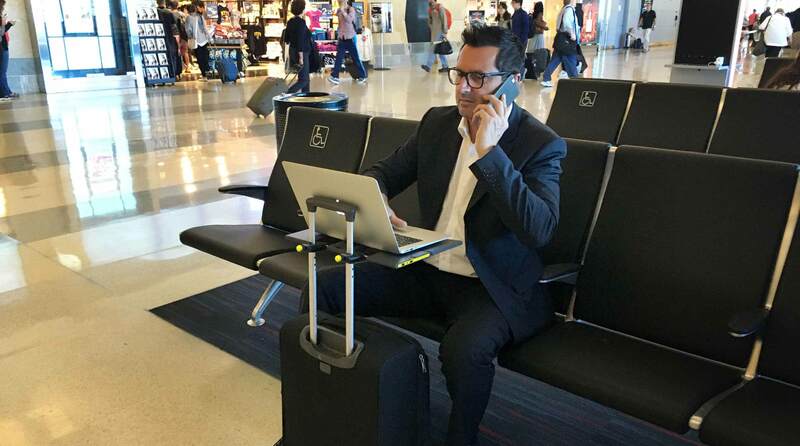 Many airports lack work surface and charging station for travelers. People cramp up in tight spaces or chairs to use their laptops. 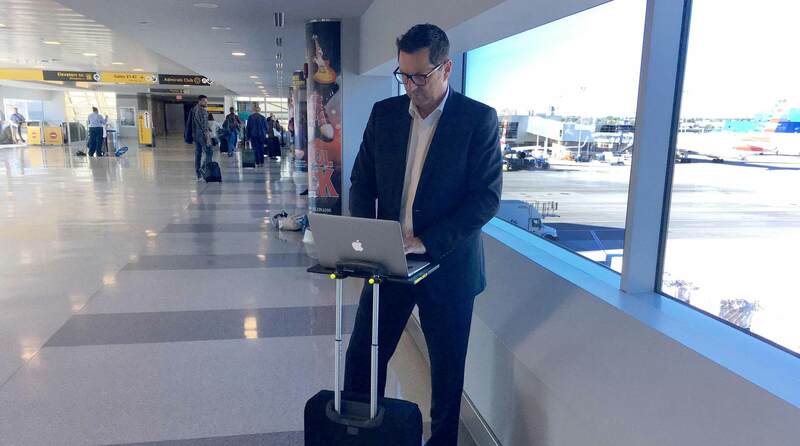 A mobile travel desk is not a novelty but rather a needed accessory for businesspeople. The challenge was to create a compact yet sturdy work surface that can be carried by travelers all the time. From the research, we realized that people already have a nicely weighted desk base with them all the time, the luggage itself. It is a perfect attaching device for the travel desk. 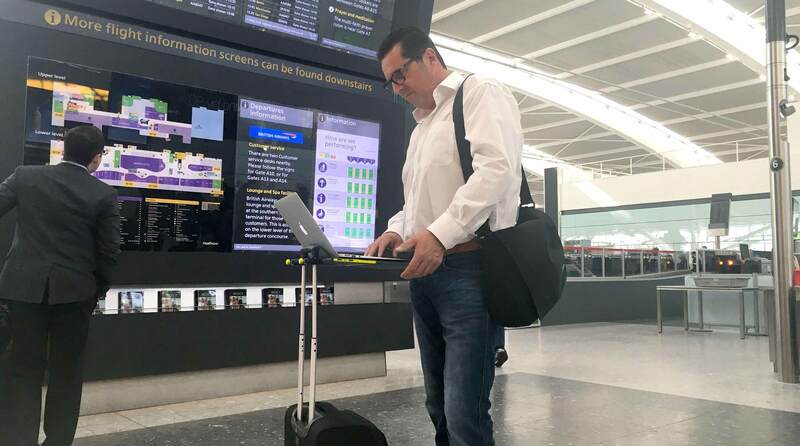 SMARTOO is a foldable travel desk which clamps onto the pull-up handle of any luggage and turns it into a working travel desk. We made SMARTOO with engineering plastic. It is lightweight yet strong enough to hold up a 15” laptop or any device in between. You can charge laptop and mobile devices with built-in removable 4,200 mAh power bank. 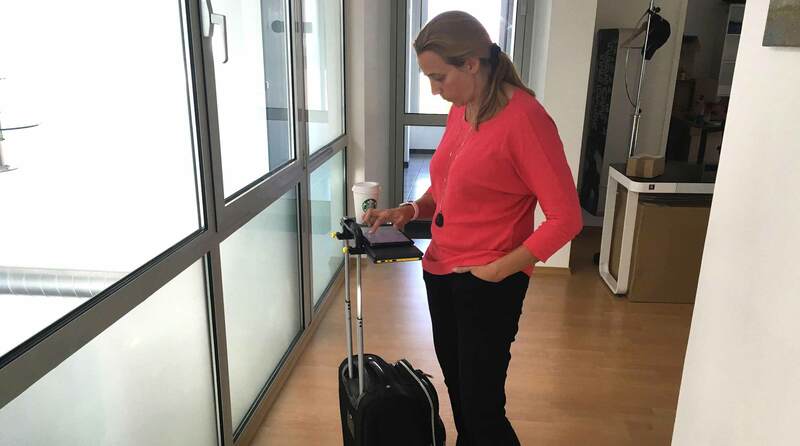 SMARTOO is a must have for travel businessmen and women. It will change the way we work when traveling.